More »What was the concept behind the design? The concept was firstly to display the merchandise in a fashion similar to museum artifacts, which derived from the name of the shop itself. 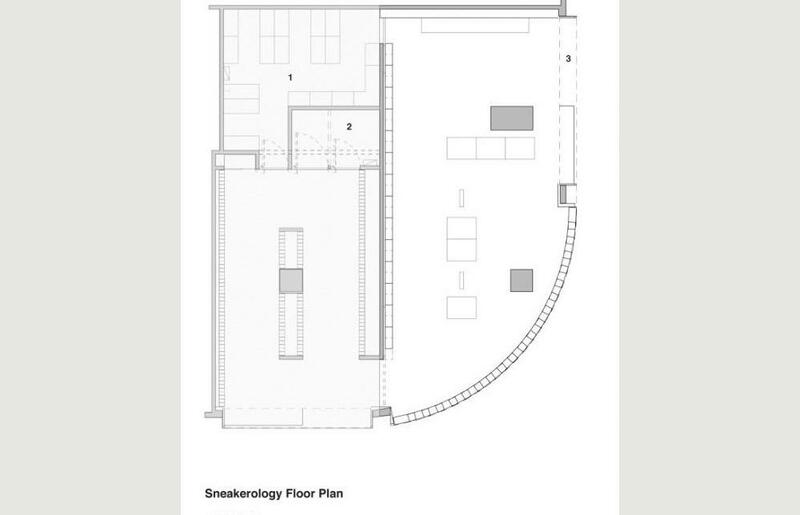 although there is really no such field of study as “sneaker-ology”, by placing our design focus on ways to correctly understand the merchandise, it is an attempt for us at capturing “sneakers” in a scholarly fashion. 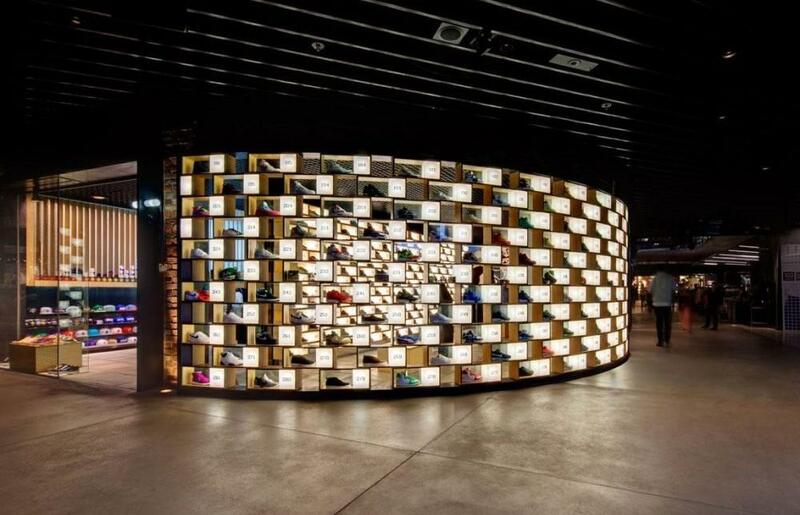 To do this, each sneaker was placed in one 200mm x 600mm box, then these boxes were repeated 281 times over, offset by half a unit on each level, creating a display with an euphoric effect for one to experience a heightened emotion. 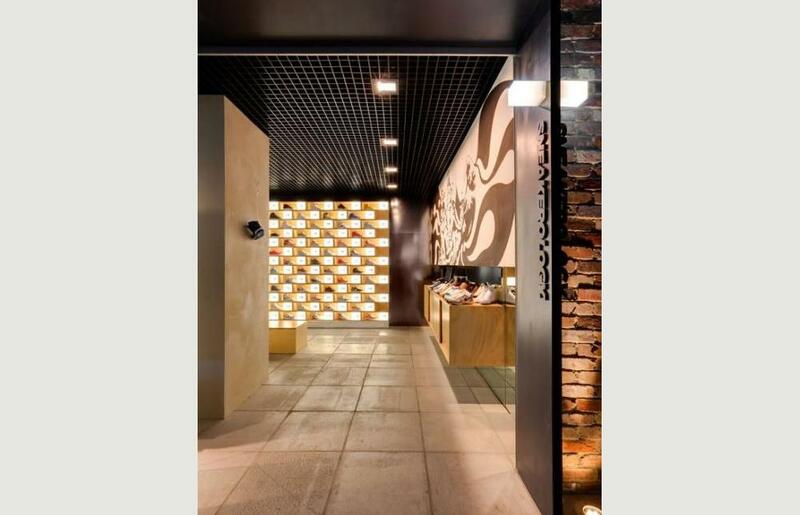 What does the design say about the current retail trends? 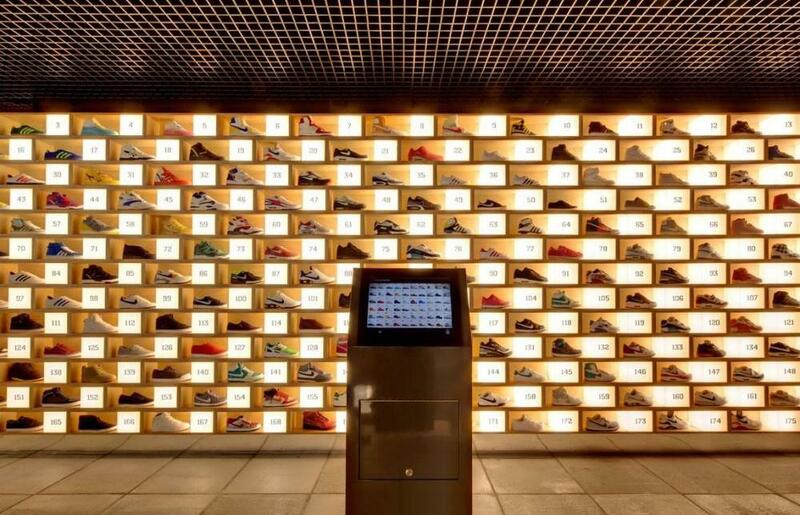 We incorporated the touch panels centrally located in the store for people to access the data and background information of an individual sneaker on display; these touch panels are corresponding with the website of the store, which can be accessed anywhere through the internet. With the internet becoming a major source of information and virtual shopping venue, Sneakerology in a way becomes a bridge between the virtual and the physical world, thus completing the shopping experience. Consumers are becoming more curious and aware about the history and background of what they are purchasing; by placing the emphasis on encouraging consumers to correctly understand the sneakers beyond their physicality, we believe this scholarly presentation adds values to the sneakers as merchandises, and as collectibles. How do users interact with the products? How do they interact with the space? 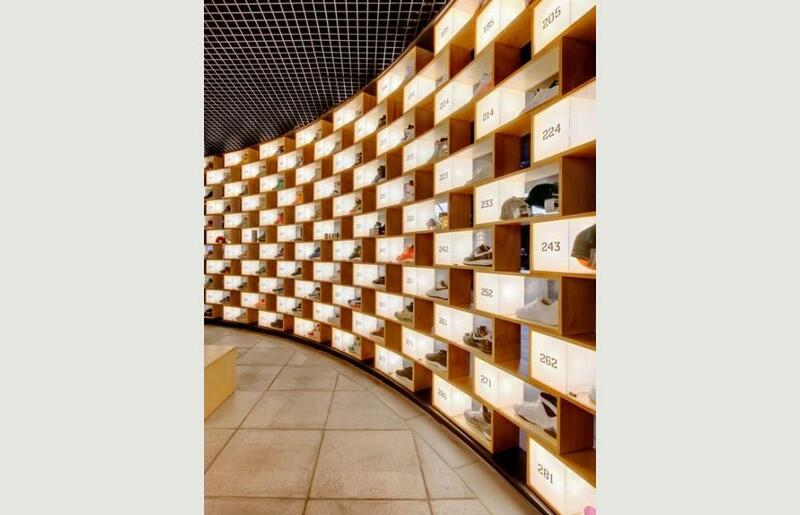 People can either use the tough panels to “research” about a particular sneaker according to the number marked on the shoebox, or walk up to the shoeboxes and directly interact with the display. 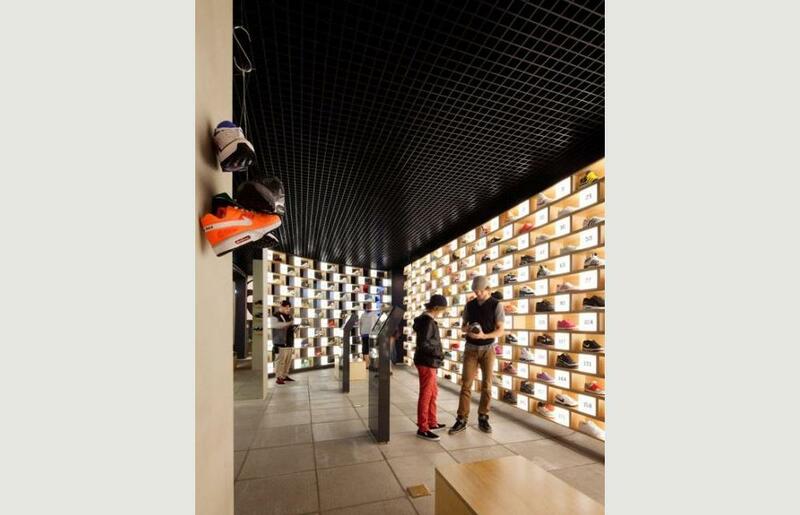 This provides two very different perspectives on the same merchandises; to look at them collectively from a distance with the associated information to be able to touch/ feel/ acquaint themselves with the sneakers. 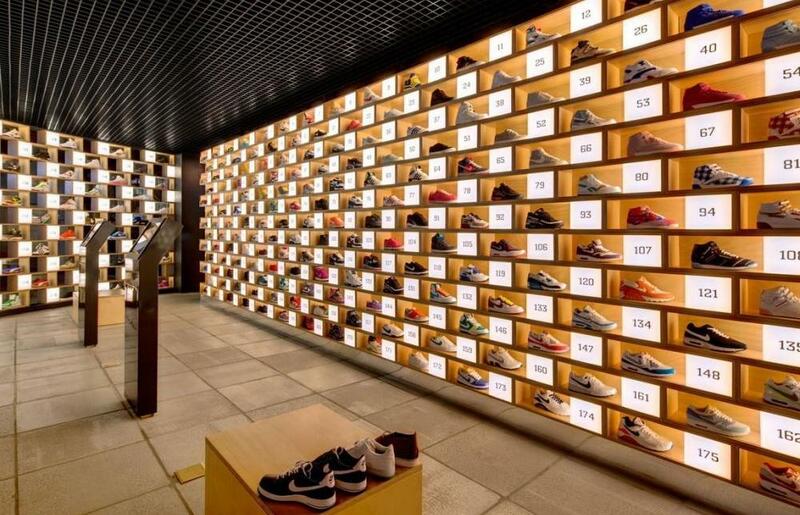 In order to maximize the amount of sneakers the store can display, we have repeated the shoeboxes on all the walls. 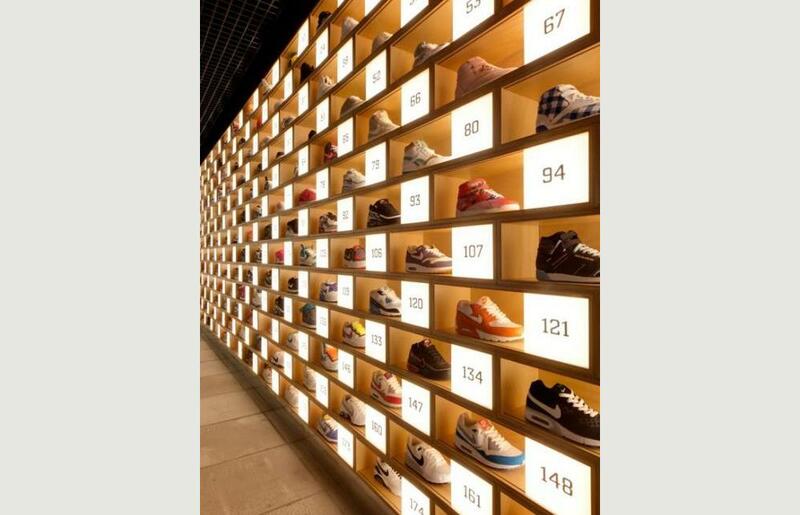 With the centrally located touch panels and wall-to-wall display boxes, it naturally guides people to either the center of the space as spectators, or up close to the shoeboxes and become part of the display.